The Greatest Security for Product Destruction. Our most expensive, yet also the most thorough solution available, for security and destruction is through physical shredding. Whether for any reason your product may need destruction due to recalls, brand protection, overstock, proprietary information, liability, or others we can make sure your products are destroyed properly. Product shredding is most suitable for sensitive prototypes that could otherwise endanger critical intellectual property. Your products are completely destroyed and irrecoverable… PERIOD! When it comes to destroying products there is always a full-proof way to complete destruction. The most advanced and effective way to eliminate your products is through physically shredding. 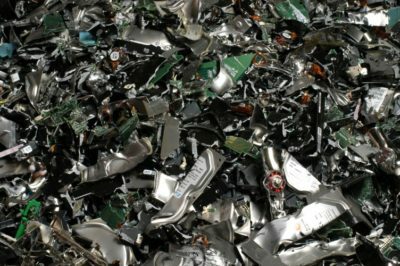 At California Electronics Recycler we offer product shredding to those who request their products to be completely destroyed. While not the quickest option of destruction we do offer the option of another physical destruction through our 4 ton hydraulic press. Our hydraulic press enables us to puncture completely through your products with ease. Physical destruction of your products can be a mental and physical pain. Destroying products without the right tools will cost you time and energy. Destroying numerous products of any size can be a real challenge if you don’t know how to disassemble or destroy it properly. When you bring in your products for destruction to California Electronics Recycler the destruction process is almost instant. We have the tools and supplies to shred completely through your products multiple times saving yourself the hassle of finding another way to destroy and discard your products. As product and data destruction professionals we know the best practices to process, shred, and destroy your products safely and securely. We have several years experience with destroying all kinds of products. We can ensure your products are thoroughly destroyed. For an additional fee, we can supply you with a Certificate of Product Destruction allowing you to have the peace of mind knowing your products are completely and properly destroyed. What Happens to the Products After Shredding? As an electronics recycling center we dispose of your shredded products through our R2 Certified downstream vendors. The materials are sorted, melted, and recycled to be reused in future devices once refined to their natural and raw state. Through recycling your products it is possible to extract and reuse any precious materials, such as gold and palladium and other rare elements. Recycling products can also reduce the amount of toxins and hazardous materials that often end up in our landfills. What Sets Us Apart From Other Product Shredding Services? We are an Eco-Ethical company, meaning that we never send your shredded products overseas or to landfills. We recycle and reuse all the materials that are used to build new products. This allows us to make sure that the materials get used for new products when recycled. Recycling helps keep landfills clean by extracting harmful materials and re-purposing precious metals and materials for new products. This lowers the amount of resources that need to be mined and processed for new products. Call us today at (800) 282-3927 or email us at info@carecycler.com to receive a service quote or learn about our product shredding services.